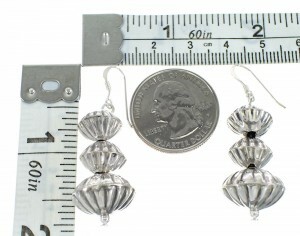 Hook dangle earrings measure approximately 1-7/8" long (including hook) and 5/8" at widest point. 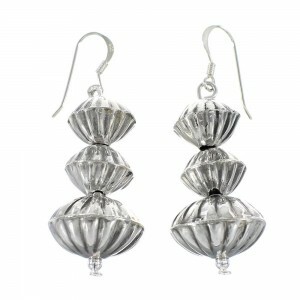 There is nothing at all average about this beautiful pair of earrings! This piece Native American jewelry is Navajo hand crafted out of genuine sterling silver. The earrings consist of silver eccentric beads that elegantly graduate, allowing the largest bead to measure 16-mm and the smallest bead to measure 12-mm. 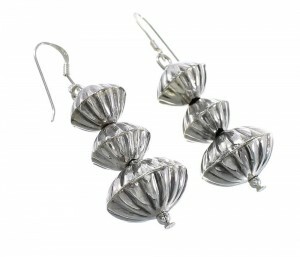 Stamped patterns highlight the earrings for a magnificent look.